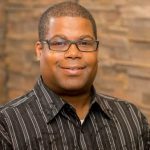 Las Vegas, NV (October 23, 2018) – The Quarter Mile Foundation will be celebrating some of the most iconic racers from drag racing during the 2018 SEMA Show, as well as live music entertainment by Canadian music star Bradley Tucker. In an effort to preserve the history of drag racing, attendees of the SEMA Show will be able to meet drag racing legends at The Quarter Mile Foundation Booth #10010 in the Grand Lobby across from the SEMA Store of the North Hall at the Las Vegas Convention Center from October 30th through November 2nd. Headlining the drag racing personalities will be Steve Gibbs and Cindy Gibbs, founders of the Nitro Revival. Steve Gibbs’ impact on the sport of drag racing is without peer. 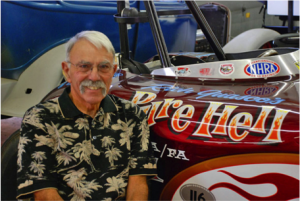 His lengthy resume includes 48 years with NHRA, first as National Dragster advertising director, then rising up the ranks to Vice-President of Competition. From there Gibbs was the driving force behind the creation of the Wally Parks Motorsports Museum and the creation and operation of the NHRA California Hot Rod Reunion. To underscore his impact on motorsports worldwide, Gibbs was presented with the 2018 Global Achievement Award by the British Drag Racing Hall of Fame. At a time when most people would be slowing down to enjoy retirement, Gibbs and a group of like-minded enthusiasts have embarked on a new adventure. 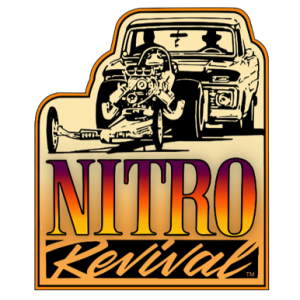 Established in 2017, Nitro Revival recreates the sights and sounds of the early days of drag racing and hot rodding, and features fully-restored, nitro-burning relics from the sport’s “golden age”. The Revival also serves as a reunion for racers from that golden era, giving fans the experience of a drag racing museum come to life. Rich Guasco and the “Pure Hell” Fuel Altered will be making their first ever SEMA appearance at The Quarter Mile Foundation booth. The “Pure Hell” Fuel Altered first hit the drag strip in 1964 with a nitro fueled small block Chevy and a 92-inch wheel base. 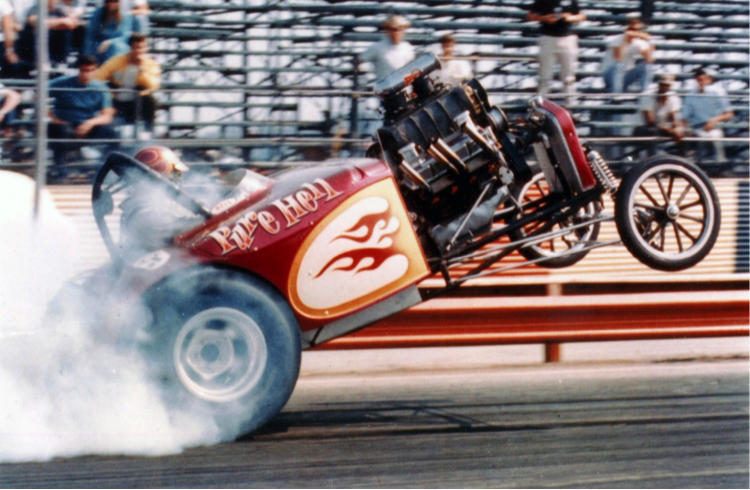 With Dale “The Snail” Emery’s driving and Guasco’s tuning expertise, “Pure Hell” became the first Fuel Altered to reach speeds over 180 MPH and in under 8.50 seconds. In 1968, “Pure Hell” reset the Fuel Altered top speed record by reaching 207 MPH after a new Hemi install during the NHRA Winternationals. In addition, SEMA attendees will have the opportunity to meet with Pro Stock Driver Ralph Woodall. Woodall began racing in 1976 with a big block Camaro in Super Stock. By 1978, he added a second Super Stock Car and raced under the Budweiser banner. In 1981 Ralph went Pro Stock racing. In 1982, Woodall fielded a second Pro stock car with “Dyno” Don Nicholson driving. 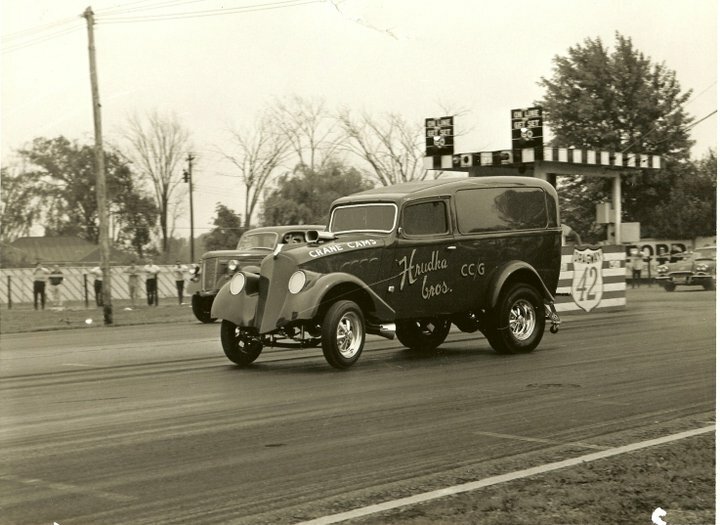 Ralph Woodall’s drag racing career included over 50 national records in NHRA, IHRA and AHRA. 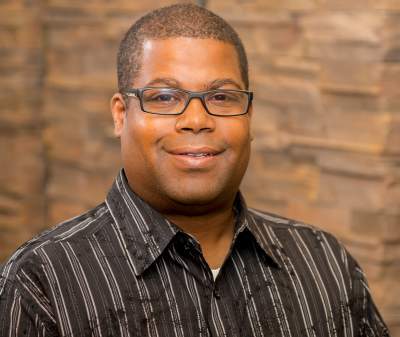 In 1986 Woodall retired from drag racing to focus on building new business, which led to significant developments and patented inventions for motorsports and for the automotive industry. 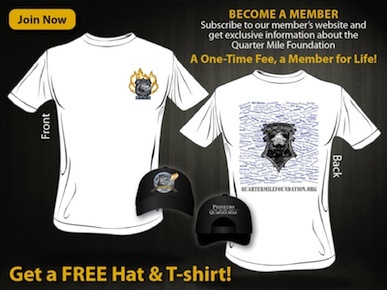 The Quarter Mile Foundation will close out the show with an experience of a lifetime. 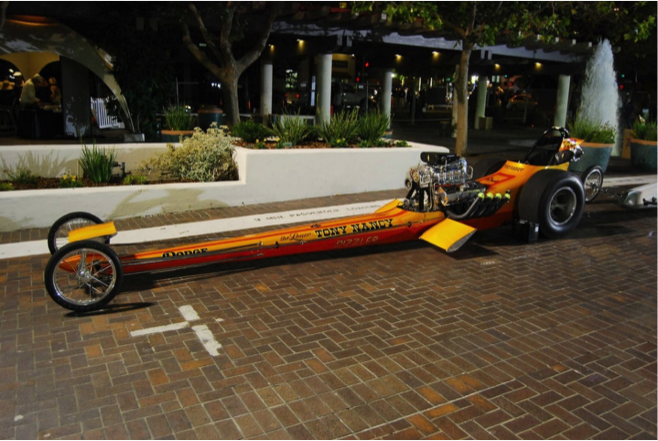 During SEMA Ignited on Friday, November 2nd, attendees will be able to experience Harry “Hand Grenade” Hibler firing up the Tony Nancy Sizzler Dragster! The SEMA Show kicks off October 30th and runs through November 2nd at the Las Vegas Convention Center in Las Vegas, Nevada. 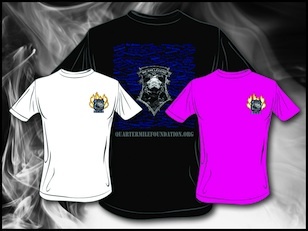 The Quarter Mile Foundation Booth #10010 is located in the Grand Lobby across from the SEMA Store of the North Hall. Special guest appearance schedules to be released at the show booth. This entry was posted in News & Events, Press Release, SEMA and tagged Bradley Tucker, Cindy Gibbs, Harry Hibler, Nitro Revival, Quarter Mile Foundation, Ralph Woodall, Rich Guasco, SEMA, SEMA 2018, SEMA Show, Steve Gibbs on October 26, 2018 by Anthony K.